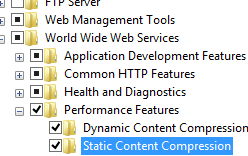 The <dynamicTypes> element of the <httpCompression> element contains a collection of <add> elements that add unique MIME types to the list of types that IIS 7 will compress dynamically. 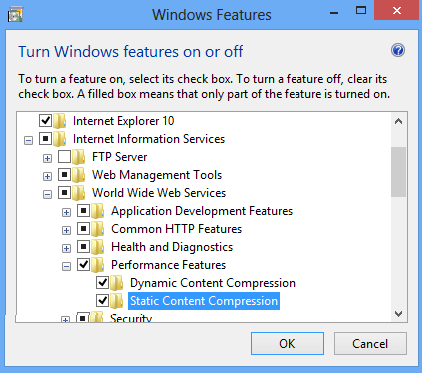 Unlike the IIS 6.0 HcScriptFileExtensions metabase property that defined specific file name extensions as "dynamic content," IIS 7 uses the <dynamicTypes> element to specify which MIME types IIS 7 will compress dynamically, and it uses mappings in the <handlers> element to specify which file name extensions refer to static or dynamic content. 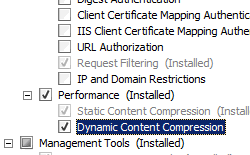 IIS 10.0 The <dynamicTypes> element was not modified in IIS 10.0. 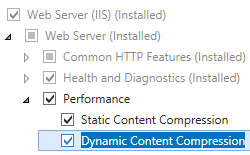 IIS 8.5 The <dynamicTypes> element was not modified in IIS 8.5. 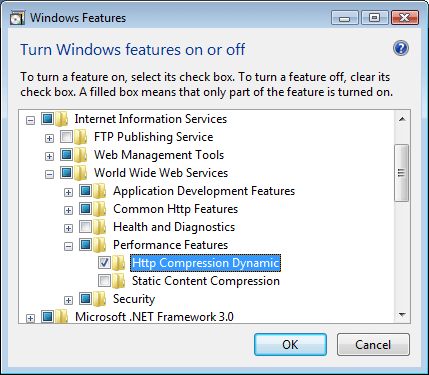 IIS 8.0 The <dynamicTypes> element was not modified in IIS 8.0. IIS 7.5 The <dynamicTypes> element was not modified in IIS 7.5. 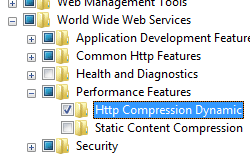 IIS 7.0 The <dynamicTypes> element of the <httpCompression> element was introduced in IIS 7.0. IIS 6.0 The <dynamicTypes> element is somewhat analogous to the IIS 6.0 HcScriptFileExtensions metabase property. 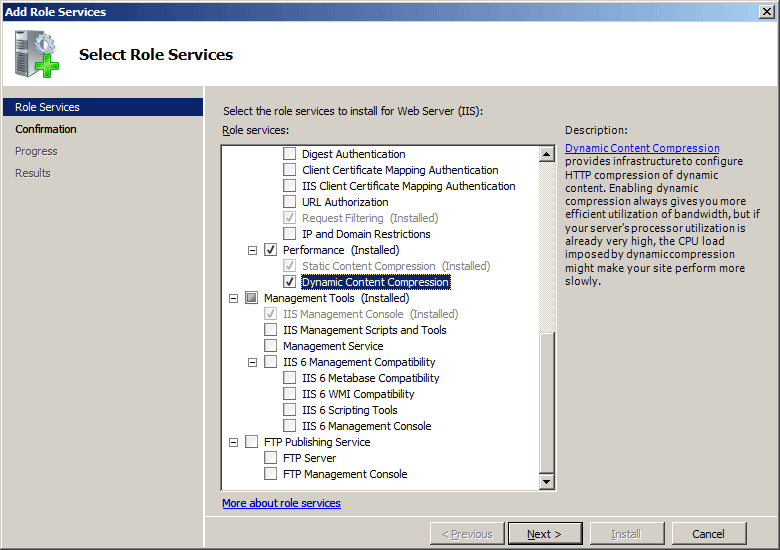 There is no user interface for setting the dynamic content types for IIS 7. 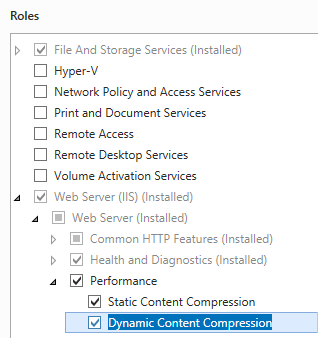 For examples of how to set the dynamic content types programmatically, see the Code Samples section of this document. Adds a MIME type to the collection of dynamic MIME types. Removes a reference to a MIME type from the dynamic MIME type collection. Removes all references to MIME types from the dynamic MIME type collection.